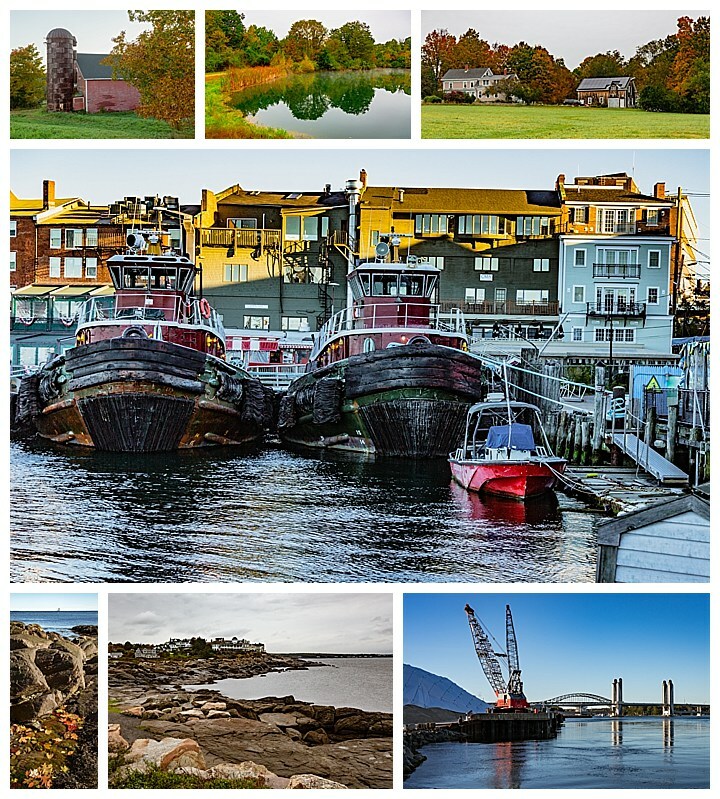 After we completed Loren’s workshop, we started to explore New England on our own. 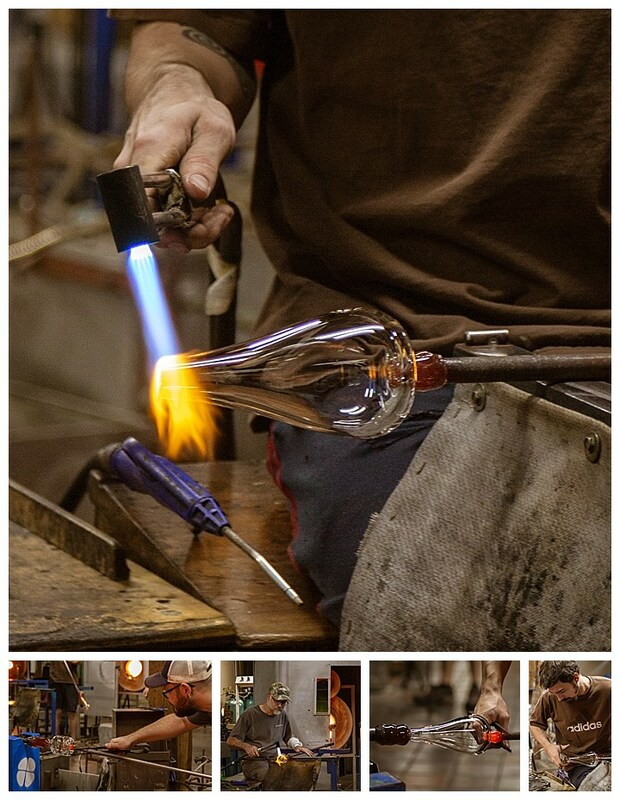 I did some rudimentary glass blowing as a hobby many decades ago while in high school, so I often like to visit working glass blowing shops when we are in the area. Simon Pearce is a glass factory in Woodstock, Vermont, and though they only had a couple people working, the scene was interesting, especially the waterfall in the back. 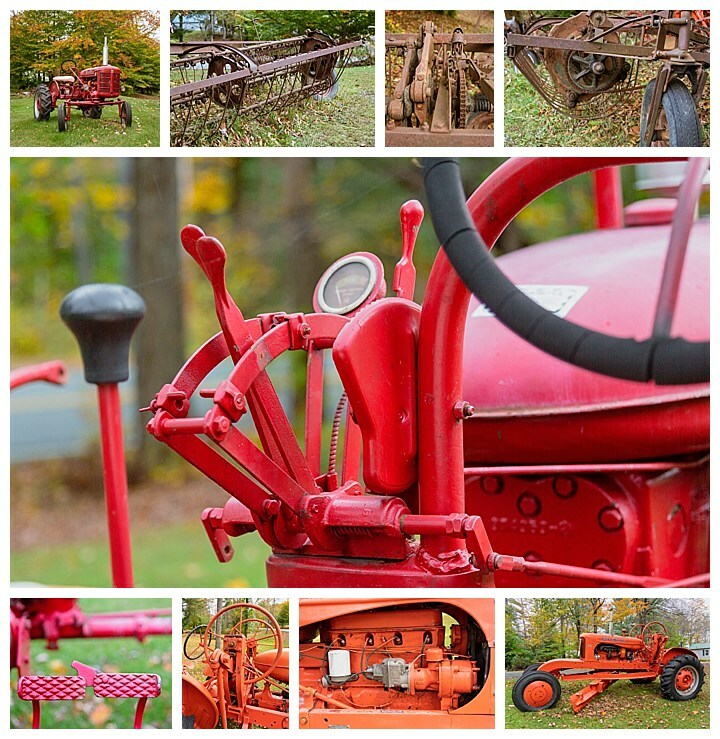 While driving through the countryside in Vermont, we passed by a couple of old tractors and other old farm equipment sitting in a small field. They looked intriguing as possible foreground for shooting star trails, as this was a scene we had expected to find more often in New England. Above are a few images we collected in the short time we stopped here. 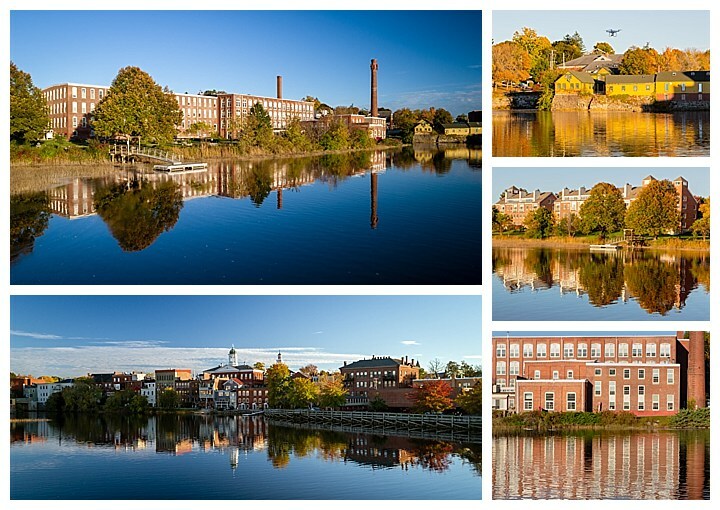 We were also introduced to an old textile mill that has been converted into offices in Exeter, New Hampshire. It sits on a river that was absolutely clear and mirrored when we arrived. I quickly sent up my drone (which has been getting a lot of use on this trip! ), and got images such as the two on the left above. Upper-right is a photo Evelyn took of the drone collecting still other shots. 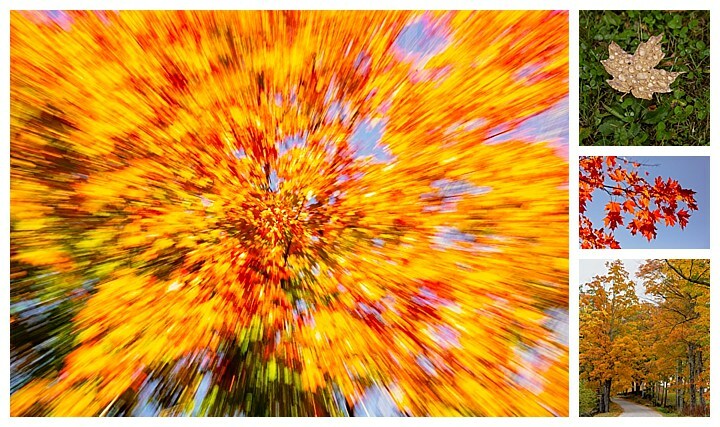 The primary target for this trip was to see the Fall Colors in New England, so we kept driving to places where the colors were turning, or preferably at “peak.” Above are just a few of the random images from that search. The New Hampshire coastline was a treat, with its wonderful seafood restaurants. A favorite was Petey’s, outside of Portsmouth, with the best haddock and scallop ever. We were staying with friends M and T, whom we met in Ecuador a couple years ago. They made the most scrumptious chuck steak ever grilled over a tile on their barbecue. As much as we searched, we never found anywhere else that made steaks as good as these friends did! Here is a two minute example of the glass blowing shop that we visited.